The content, organisation, graphics, design, compilation, magnetic translation, digital conversion and other matters related to the Site are protected under applicable copyrights, trademarks and other proprietary (including but not limited to intellectual property) rights. The copying, redistribution, use or publication by you of any such matters or any part of the Site, except as allowed by Clause 4 below, is strictly prohibited. You do not acquire ownership rights to any content, document or other materials viewed through the Site. The posting of information or materials on the Site does not constitute a waiver of any right in such information and materials. Some of the content on the site is the copyrighted work of third parties. 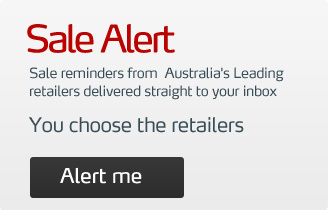 “salefinder.com.au” and others are our trademarks. Other product and company names mentioned on the Site may be trademarks of their respective owners. (j) use the Site in a manner that violates any law regulating email, facsimile transmissions or telephone solicitations; and (k) export or re-export the Site or any portion thereof, or any software available on or through the Site, in violation of the export control laws or regulations of Australia. You may provide links to the Site, provided (a) that you do not remove or obscure, by framing or otherwise, advertisements, the copyright notice, or other notices on the Site, (b) your site does not engage in illegal or otherwise inappropriate activities, and (c) you discontinue providing links to the Site immediately upon request by us. The Site may contain advertising and sponsorships. Advertisers and sponsors are responsible for ensuring that material submitted for inclusion on the Site is accurate and complies with applicable laws. We are not responsible for the illegality or any error, inaccuracy or problem in the advertiserâ€™s or sponsorâ€™s materials. Third party content may appear on the Site or may be accessible via links from the Site. You understand that the information and opinions in the third party content represent solely the thoughts of the author and is neither endorsed by nor does it necessarily reflect our belief. THE INFORMATION, CONTENT AND DOCUMENTS FROM OR THROUGH THE SITE ARE PROVIDED "AS-IS," "AS AVAILABLE," WITH â€œALL FAULTSâ€�, AND ALL WARRANTIES, EXPRESS OR IMPLIED, ARE DISCLAIMED. THE INFORMATION AND SERVICES MAY CONTAIN BUGS, ERRORS, PROBLEMS OR OTHER LIMITATIONS. WE AND OUR AFFILIATED PARTIES HAVE NO LIABILITY WHATSOEVER FOR YOUR USE OF ANY INFORMATION OR SERVICE. This Agreement shall be treated as though it were executed and performed in Australia, and shall be governed by and construed in accordance with the laws of Australia. This Agreement and all incorporated agreements and your information may be automatically assigned by us in our sole discretion to a third party in the event of an acquisition, sale or merger. Should any part of this Agreement be held invalid or unenforceable, that portion shall be construed consistent with applicable law and the remaining portions shall remain in full force and effect. To the extent that anything in or associated with the Site is in conflict or inconsistent with this Agreement, this Agreement shall take precedence. Our failure to enforce any provision of this Agreement shall not be deemed a waiver of such provision nor of the right to enforce such provision. Our rights under this Agreement shall survive any termination of this Agreement. Your use of this website and any dispute arising out of such use of the website is subject to the laws of Australia.